The higher water and heat is upon us! It’s time for some epic bug hatches and summer trout/steelhead in the lower river. We will have lots of high water throughout the summer months which bodes well for fishing those big ‘rubber-leg’ stonefly imitations in the canyon stretches. This run is amazing in the higher water, however, it is a little more technical and not necessarily the best for novices. Drifting around those nasty, craggy, lava rack chunks is sporty. Hitting the pockets, drifting the seams, and creative mending in the boils provides a unique challenge for the flyfisher. Although it’s hot out, the feel of it is actually reduced when you are sitting on top of 14k CFS of 50 degree water. Mid-day we are finding a shady spot, pulling out reclining chairs, and whipping up some BBQ. 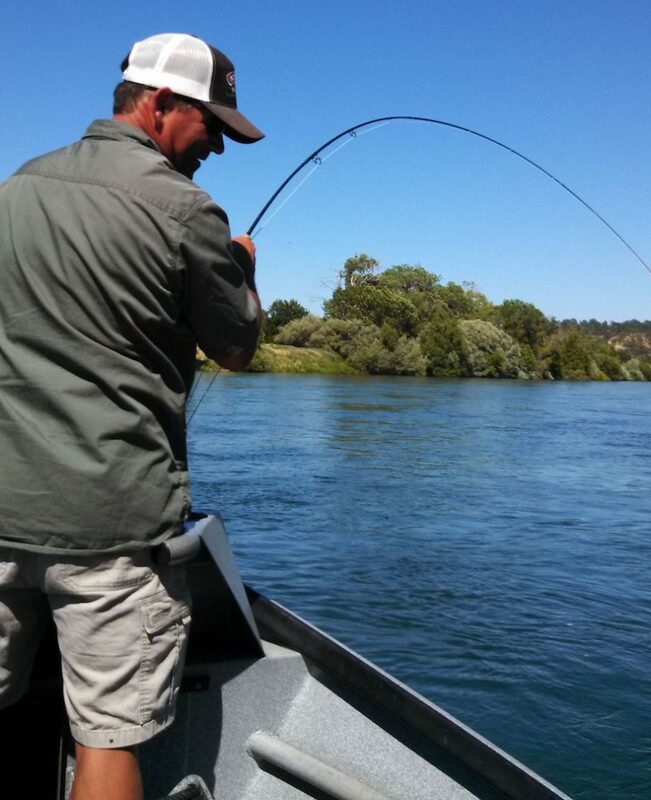 Get off the couch and join us for some great summer fishing in the scenic Sacramento River canyon section.